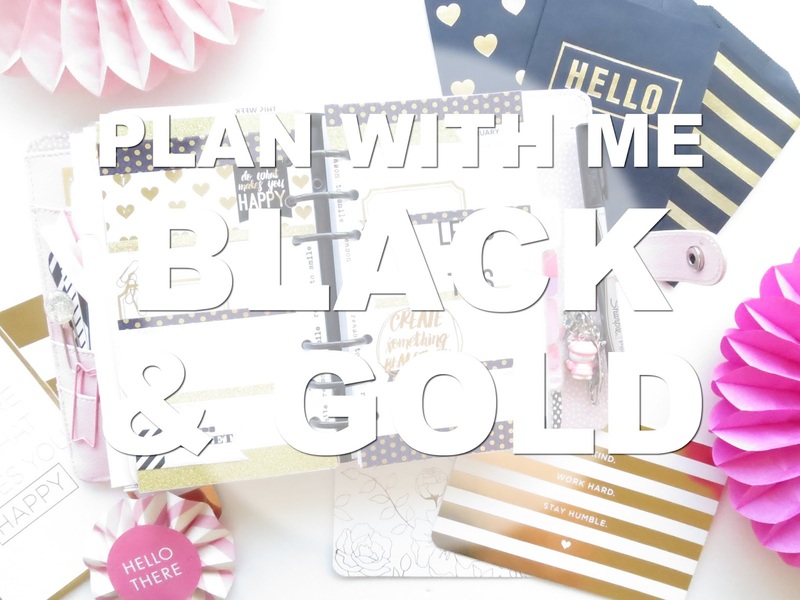 Stef here from the Noveltea Corner and I've got a brand new planner decorating video for you, featuring the gorgeous black and gold theme from the January Stationary Box from Mrs Brimbles. 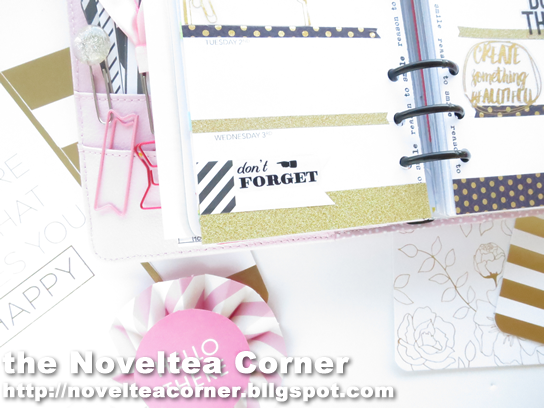 Last month's box's theme was just gorgeous and classy and can be used for so many different projects. 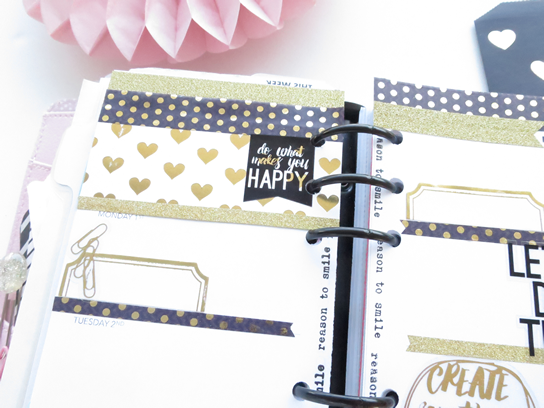 I love decorating my planner each week, so it was a perfect fit (so don't be limited by the name - you don't need the planner box to do amazing things in your planner!). 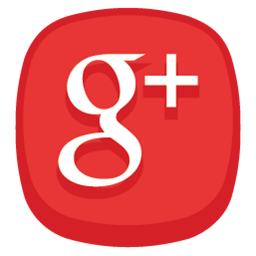 Don't forget to stop by my blog, Youtube or Instagram pages for more inspiration! I am sharing with you a planner sticker haul, both decorative and functional. PLEASE NOTE: I purchased these stickers off my own back with my own money. This review is my own personal opionion on the product / company, given in good faith and has not be sponsored or endorsed. None of the links are affiliate links. Unless otherwise stated, all photography is my own. I thought today I would share something a bit more personal that I am battling and I know alot of my creative friends have either went through this or are currently going through the same thing and that is losing your mojo. For me personally I am going through menopause and that has its ups and downs on its own with depression but also can bring you into a slump creatively. I wanted you all to know that all of us woman who create things for a living or even just for fun are battling our own issues at one time or another. Most likely if you are in a creative slump it stems from something much deeper that you just have to take the time to figure out. I bet you have a clue where it is coming from and if you take the time to see it through you may be doing yourself a bigger favor by solving the deep rooted issue of the mojo buster. I have an etsy shop and so my creativity is a part of how well my shop functions so as you can tell by the conversation it isn't going as well as it could be at this moment! I am also on design teams that my creativity and mojo have alot to do with how well I function in that arena as well...and it is suffering too. Luckily for me the people who I do design for are very understanding people, they are creative people as well so they understand the ups and downs and having no mojo or ideas of what to even create. I stare blankly at products that I truly love and I have no direction on what to do with them, i have no interest in playing with them, I honestly feel like I am in a black hole peaking out at all the beautiful colors but all I can see is the empty dark hole where I am locked in. It feels like a force that has me chained to my seat and won't let me out. So what I am trying to tell you is that creative people can fall off the creative wagon too. Its not all sunshine and rainbows for us. I know there are so many times I share something I have made and I hear "Oh I wish I could do that" and I think to myself "I wish i could too" meaning that I may have just been on auto pilot because it is something I have made over and over for my shop and it wasn't because I felt creative at the time it was something I had to do. I personally don't like to be forced to make something when I am not feeling it but having an etsy shop or a commitment you need to fulfill can be a blessing and a hindrance at the same time. It does force you to make things but when you get where you are battling a bit of depression because of menopause it is a constant struggle. But honestly if I am not forced I am afraid i will be stuck in the black hole forever so in order to break the chains I need to be made to reach out of that hole everyday. 1. Go for daily walks to see the beautiful out there that may inspire you to start something that day. 2. Make a date for coffee or a meetup with a friend to socialize and catch up with each other. 3. Take some time off to regroup and don't feel guilty for it. 4. 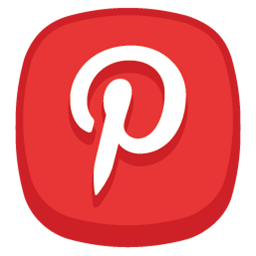 Browse pinterest and some of your favorite blogs to get some ideas or see if anything sparks and idea for you to create something. 5. Journal, get out your feelings on paper. Doodle and push yourself to get some fresh new ideas because it could be that you have made alot of the same products or designs and you need a totally new item to make you feel alive again. 6. Challenge yourself to think of 2-3 new things you want to do whether it be on the creative end or maybe it is a new place you want to go, a new item you want to get for yourself etc. Don't think of everything in terms of how it will make you feel creatively because making yourself feel good is equally as important to your creativity because they go hand in hand. 7. Get a new book to read. 8. Buy a few new items for your supplies that you may have not worked with before but always wanted too. 9. Treat yourself to a spa day or go get your nails done just something for you personally. 10. 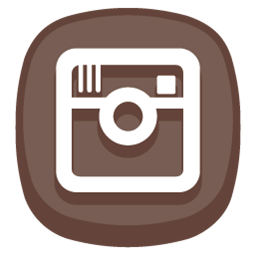 Browse instagram. 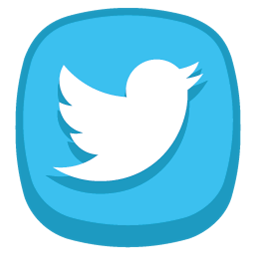 Chances are you are following people that are either making products also or that have some interest to you that may spark a bit of ideas for you. 11. Talk to someone. 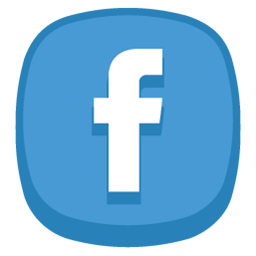 Sometimes that can be your spouse and sometimes it can just be a blog friend or someone who most likely can relate to what you are going through. For me I make planner items. Mainly paperclips, stickers and that sort of thing. I am a newbie with sewing but I do enjoy it so I decided to put the paperclips etc. to the side and break out my sewing machine again. I purchased my first fauxdori that was a cute sewn one and I thought "I can make these" so it gave me a real sense of creativity and meaning again. So maybe just switching off one thing you do and turn on another. Sewing is going to help me get my mojo back. Going to the fabric store and seeing all the pretty fabrics that I can create more fauxdori's off has lit a fire in me. Maybe it will be the fire that will continue to give me the energy to get back to my other things at some point as well. I also like to doodle and it makes me happy when I get an idea of something to make someone so I will doodle a drawing (rough) and then create it. Like this example below for someone super special! YES ANNA!! So see you can find inspiration also by just thinking of something new you can create to give you something fresh to work on. 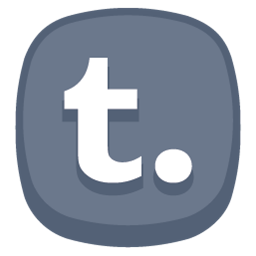 I hope this wasn't a boring blog post for you all to read. I just wanted to maybe help someone else out there and let them know that you are not alone. Its not always easy when your in a group of people who you see making the prettiest spreads in their planners and all you can do is stare blankly at the pages and you see nothing. So for this post there is no pretty spread because I decided I didn't want to force the process. I am going to share the wonderful Feb Brimbles box I received for you so that you have something very pretty to look at after reading what can be a dark subject! This month was a unicorn theme. Beautiful colors that made me smile. I do want to do a layout using these items but I didn't want to force the process because i just knew I wouldn't like it if I did. But the girls have provided plenty of pretty layouts using the items. The polka dot foil washi is one of my fav's and of course having more items with Anna's original artwork makes each box so special. I love being a part of the team, they are not just teammates they are my friends and they are truly the support that sometimes you need in times like now. So lean on people when times get tough for you! 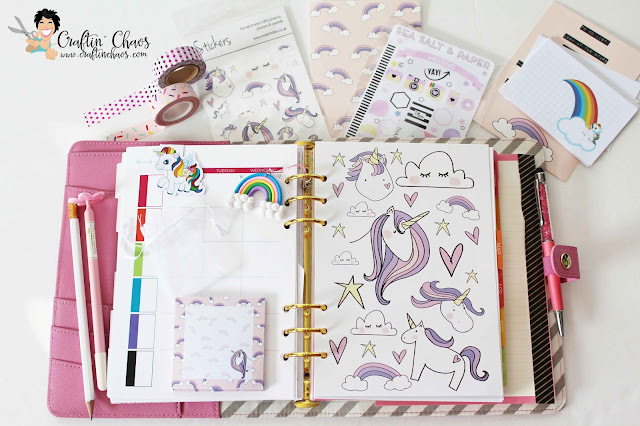 The Spring 2016 Websters Pages Color Crush Planners Showing! 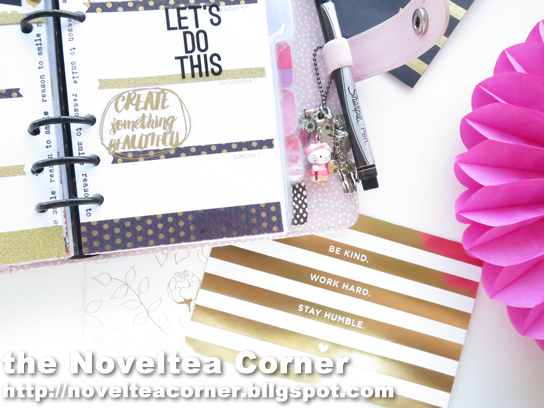 Wanna see what the new Spring 2016 Websters Pages Color Crush Planners look like? Yeah I thought you would! I can tell you that they are absolutely delish and you are going to love them. 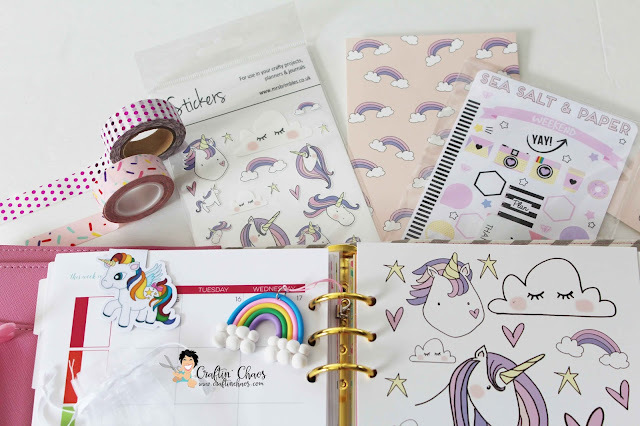 They are not released until Spring but don't worry about missing out, just head on over to Facebook and join 'Mrs Brimbles Happy Place' and also 'Color Crush Planner Love' and you will get to find out when they are available to purchase. For UK peeps I will be stocking them! 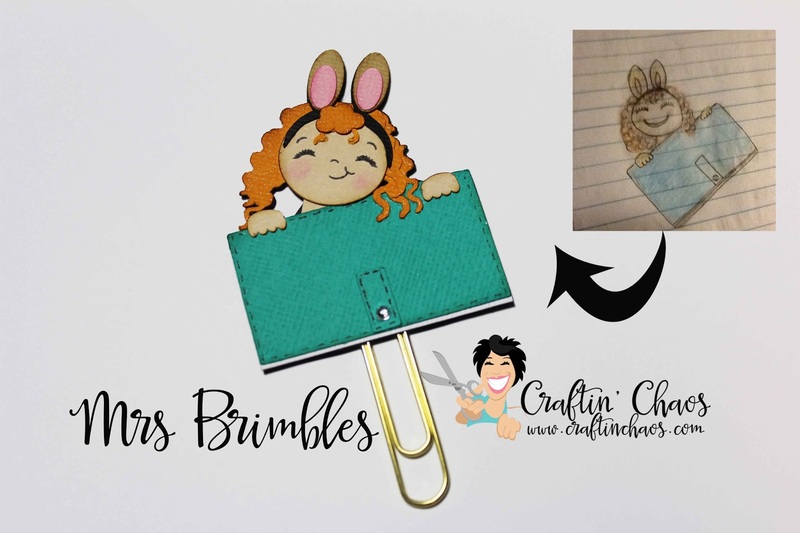 I took the two Mrs Brimbles Note cards and made them into a booklet securing the longest sides with washi tape. I went with the pattern on the inside because the shiny side is perfect for sticking post-it notes on. I then trimmed down one of the heart print envelopes and glued it to the front page to make a pocket for storing washi tape samples. I had a good dig around on my desk and found some Dear Lizzy ephemera which I received in a previous Brimbles Box. This is the kind of scrap book/project life items which I really don't have a lot of so I am so glad to have some left over. The DIY Shop envelopes from my January box came in handy again too! I used a dab of glue to stick it on the back page using it again as a pocket for stashing away some ephemera, paper clips, stickers and a little bag of foil confetti. Because who doesn't need a bit of confetti and glitter in their lives!? The floral paper from the letter set was such a pleasure to write on and looked right at home tucked inside the booklet. I keep looking at it and adding extras but I think it's pretty much done. There's so much left over in the box so it will definitely keep me going for a while! For me the 'Happy Mail' Brimbles Box is a no brainer - It's basically a DIY kit with so many options and is made up of unique items which are always perfect if you are unsure of where to start (like me)! Have you found your creative snail mail style? Maybe it's minimal and it's badass!? Where to start? What didn't I do with this box! I think this had to be one of the most versatile boxes yet. That or I just came up with more creative ways! Let's start with the dashboard. Some of you may already know I'm currently working on a project this year called The Documented Life Project 2016. I put my A5 dashboard from the box into my unPlanner for the project as the quote seemed appropriate. It went beautifully! I then noticed the stickers which came in the box were absolutely perfect for the Kraft pages. I used both the white and black stickers on the kraft paper. You can just about see the white numeral stickers. Next, the stickers inspired me to use a black AND white art trading card for one of the challenges set called PAC's, Project Art Cards. Using paint from the Docrafts range, my sewing machine, and the stickers, I created two PAC's. Recently I was gifted for my birthday a beautiful fabric dori bought from the lovely Lyra and Co. I am using this as a spiritual journal. The stickers from my Brimbles box even went into decorating a journal card I used in this journaling. 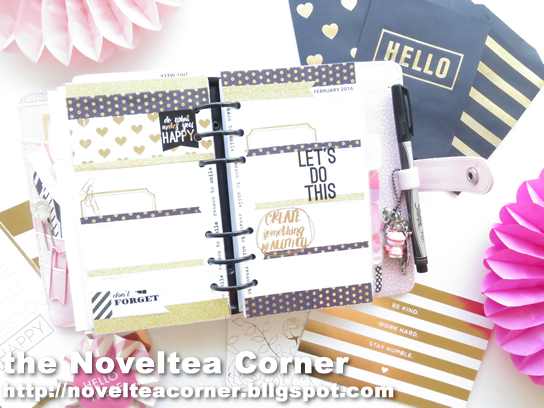 Finally, this months box went perfectly with my platinum Carpe Diem planner. 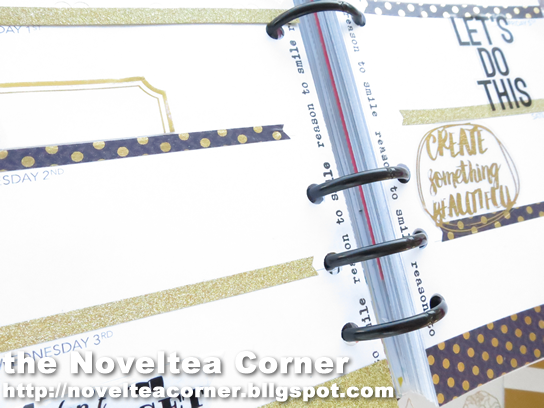 I began by using the gold washi tape to decorate the pages. Next, I numbered the days using the gold stickers. The pocket envelopes in the box gave me an idea. As I'm looking for memorabilia for scrapbooking and memory keeping I thought the pockets would be ideal to use to store receipts, wristbands, etc. I took some spotted washi from my ever growing washi collection to decorate the inside lip of the envelope. Next I used the stickers to embellish the front. Finally, using my white signo uni-ball pen, I wrote on the front and put it in my planner. Phew! And that is how you use your Brimbles box to the max! As a side note, I did use my gold tassel too. I actually made these up for this months Brimbles box and kept one aside for myself. Happy Mail Decoration, Using Pockets! As soon as I opened January's Happy Mail Brimbles Box, I had ideas buzzing in my head. I was so in love with the colours, and the products all went so perfectly together. I had a few letters I needed to reply to, so decided to crack into the Happy Mail Box and get some happy mail made! I chose to attach some of the pockets into one of the cards, in a long line. This meant they would fold up into the card easily. I made sure the bag saying 'HELLO' was on the top, so when my penpal opened the card it would be the first thing they saw. I added a little gold binder clip (from Tiger) to all of the bags once I'd finished to hold them all in one place. As this was a mini binder clip, it didn't add too much bulk to the card. I wrote the letter part of the happy mail on the actual card, I decorated it using black, gold and silver washi tape and stickers. I also used some kraft paper on this section, as it went really well with the rest of the colours. 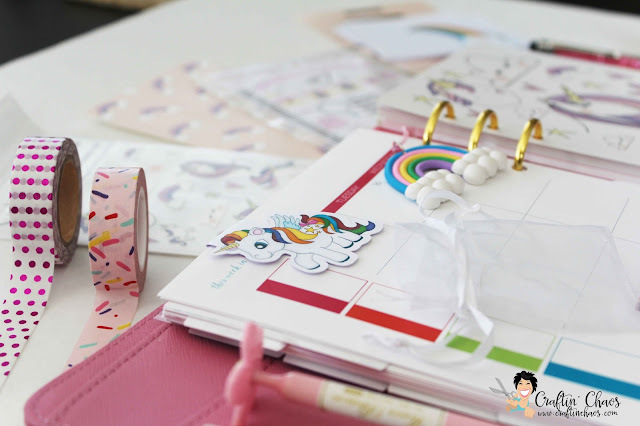 The gold striped washi tape is from Cloudy Cow, the flim strip washi tape was a gift, the typewriter font stickers are from Hobbycraft, the silver star stickers are from Paperchase, the kraft sticky tab is from HEMA, and the little 'Hello' sticker is from Mrs Brimbles' shop. On the back of the pocket section I decided to add a bit of decoration, as the back of this bag was going to be seen when you flip it over to read the rest of the letter, it would look a bit bare if not. I used one of the caption stickers from my Happy Mail Box, and added a little quote on there, along with a little collage of stickers and washi tape. I filled the pockets with lots of goodies! 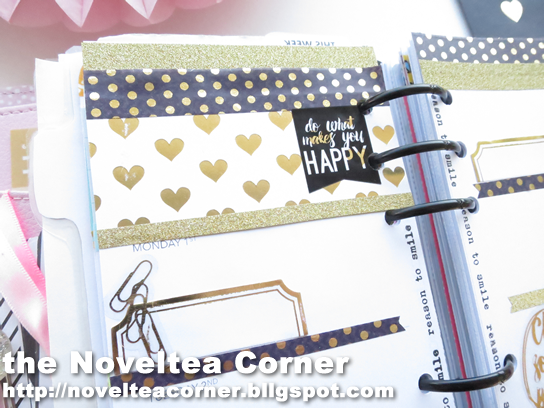 I loved using the little gold glitter hearts from my Happy Mail Box as tabs, so it made things easier to pull out from the pockets. I'm really happy with how this turned out, and I really hope my penpal likes it!! I love how much you can get out of the Happy Mail box, I used a lot of different things this piece, but I still have loads left over for more mail! 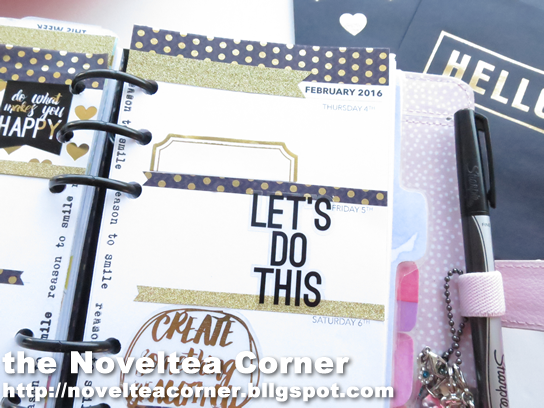 Decorate with me / February Planner Set up / February Brimbles Box! 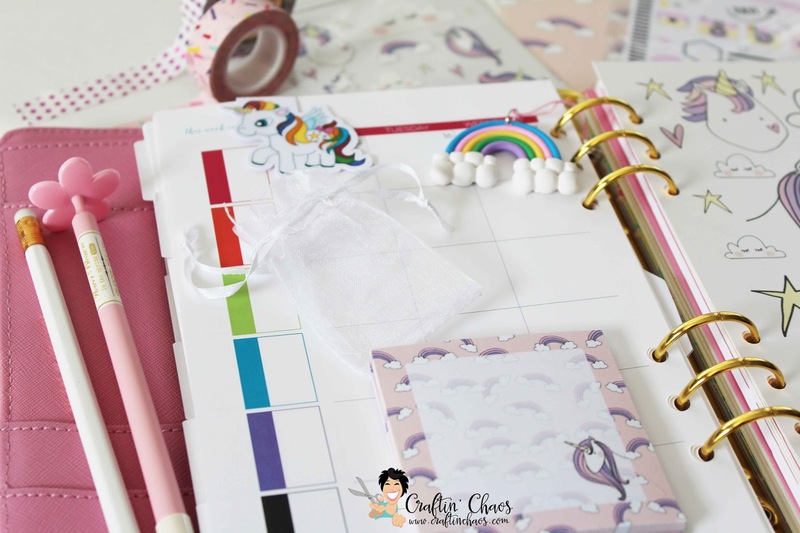 With February comes a little change in planner and of course planner decor so I thought you might like to see how I used the goodies in the February Brimbles Box to decorate my pages and my planner.